August‘s calendar will be available for booking May 1st, 2019 at 10am for brow services. Teeth Whitening appointments are available. 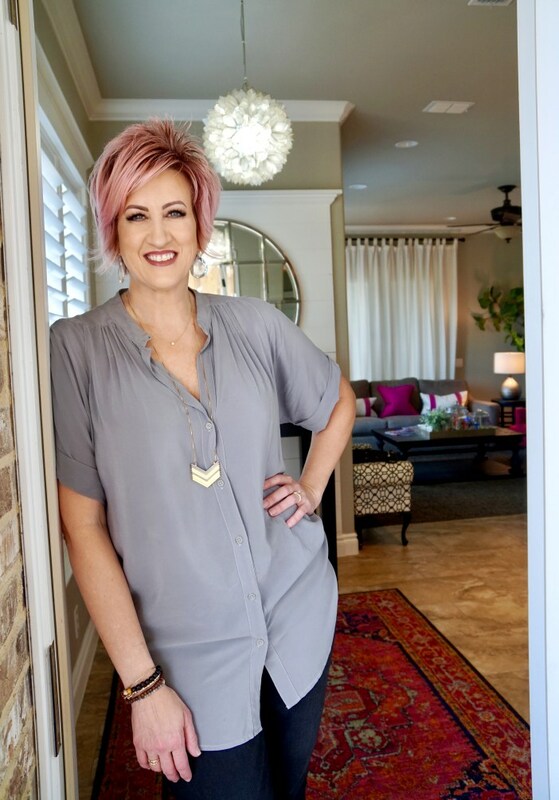 Opened in 2016, Studio420 has served thousands of happy clients from all over Texas and the U.S. Kristin has been in the Beauty Industry for over 12 years as a licensed cosmetologist and makeup artist. She now focuses all her time and creativity as a Master Microblading Artist. Your face is in good hands. Kristin Claridge has a passion for making people happy. She graduated from cosmetology school in 2006 with a goal of helping women look and feel beautiful. She feels women carry the weight of the world on their shoulders and that if she can help take that load off and let them escape their stresses, she is doing her job. Claridge opened Studio420 Brows to offer women a more permanent solution to their eyebrow struggles, and this year, the studio is celebrating its two-year anniversary. Since its opening, the studio has quickly become Texas’ premier microblading studio, serving thousands of clients from Texas and throughout the nation. Claridge believes not only do brows enhance a woman’s outward beauty, but that her customers leave the studio feeling more beautiful, with a sparkle in their eyes and more confidence. For Claridge, it’s an incredible transformation to watch and be part of. Great Brows at Time Square, NY! Christina Coker (christina_coker on Insta) is the beautiful girl with killer brows on the header of our website. Look at her gorgeous self in an ad for SAS Shoes at Time Square! I cannot rave enough about how incredible Studio420, Kristin (and my new eyebrows) are! This was my first time doing microblading and I was pretty hesitant (yet intrigued). I found the salon on Instagram from a friend. I loved how active her Facebook and Instagram are, as well as the incredible results. There's seemingly 100's of clients with new, drop-dead gorgeous eyebrows in Kristin's portfolio. Kristin is THE premiere microblading artist in south/central Texas, guaranteed. Kristin and her colleagues make you feel welcome, warm and beautiful from the second you walk in the door. You're paying for unreal, flawless eyebrows and an even better customer service. Kristin is for sure to make you laugh and feel at ease. Worth every penny... and I cannot wait to see my new eyebrows healed after my touch-up appointment! Beautiful, modern and immaculately clean office. Ask for a blanket - they're warm and cuddly and known to make people fall asleep in the chair. I love this place! I found studio 420 just browsing through my newsfeed. I'm a natural blonde and my issue was not that I lacked brow hair, but that the hair was so light you could barely see it. I booked an appointment with Kristin after about three months of reviewing her work and comparing it to others, and let me tell you, it was the best thing I've ever done! They look amazing, better than I could have ever hoped for! It was painless and totally fun! The entire process from start to finish was clean and I felt completely confident in Kristin. She explained even step as she did it, and made sure I was happy with everything before I left. It was worth every penny and I highly recommend to anyone and everyone! Kristin and Studio 420 Is AMAZING!!!! My brows needed some help! I've been getting waxed since I was 16 and for some reason, they have always been very difficult to shape them without making them too thin. I watched serval YouTube videos trying to learn how to perfect my brows and had no luck. Now that Kristin has worked her magic, my eyebrows are perfect!!! I love love love them! Not to mention Kristin has great energy and makes the entire experience fabulous!! It's definitely worth every penny and a road trip from San Antonio to Austin!! Thanks so much Kristin!! I LOOOOVE Kristin! her studio is beautiful and she makes you feel right at home. I totally recommend her for microblading! I absolutely adore my new brows! I can't wait to go back for my touch up! Kristin is amazing!! I was recommended to her by a neighbour who had her eyebrows done! I had heard of the process and was interested in doing it. After seeing pics of her work I knew I had to get them done! The studio is clean, organized, and well set up. You even get a comfy blanket while you get them done. Kristin will work with you on the shape and color until you are 100 percent sure! The process is not painful at all! Kristin is very detailed and customizes them to your face! If you are thinking about it, do it! You will not regret them when you wake up with gorgeous brows every day! Finding this place has been a dream come true!! I'm so in love with my brows "LOVE THEM" I say! To not have to spend the extra time putting your brows on, which in my case I needed them to be fuller!!! My girl Kristin came along and helped me out and made my dream come true !! I HIGHLY RECOMMEND KRISTIN!! Thanks, girl much love for ya! Sooo. Kristin is a magician. I over tweezed a lot when I was younger, so I was left with tiny eyebrows. I stumbled upon studio 420 when I was doing my research on microblading. They were the only fairly priced studio, with zero bad reviews in Austin. Not to mention, all of the before and after pictures were flawless. I decided to reach out to schedule an appointment over Facebook, and Kristin called almost immediately. She was so friendly and explained everything in a way that I could understand. When I arrived at the studio, it was so cute, clean and comfortable. The process was perfect *numbing cream is a God send* and she was very attentive. I'm soooo happy with my results. I had reservations about going with a bolder brow, and originally had thoughts about keeping them on the thinner side. Buuttt I trusted her with my face, and I don't regret it; she's the professional for a reason. I'm constantly getting compliments on my eyebrows now, and have no problem sending them here. The best decision could've made. Kristin and everyone that works at Studio 420 is awesome. She did such and amazing job on my eyebrows and I've had them done elsewhere over the years (tattooed not microblading). I have to say I freaked out a little the next day because I thought they were too thick (and I am super OCD about them) but honestly, now I look back at pictures and think I filled in my eyebrows too thin!! She knows what is going to look good on your face and is an artist. I love how you can see individual "hairs". I had my touch up today and they look amazing, plus, they make my life sooooo much easier! !